When you profile, you need the most powerful tool you can get. At the same time, you do not want to spend time learning how to use the tool. JProfiler is just that: simple and powerful at the same time. Configuring sessions is straight-forward, third party integrations make getting started a breeze and profiling data is presented in a natural way. 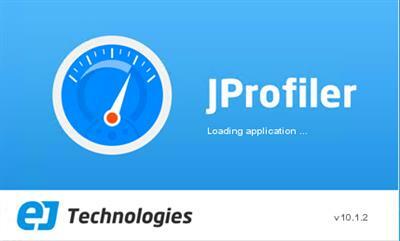 On all levels, JProfiler has been carefully designed to help you get started with solving your problems. Database calls are the top reasons for performance problems in business applications. JProfiler’s JDBC and JPA/Hibernate probes as well as the NoSQL probes for MongoDB, Cassandra and HBase show the reasons for slow database access and how slow statements are called by your code. From the JDBC timeline view that shows you all JDBC connections with their activities, through the hot spots view that shows you slow statements to various telemetry views and a list of single events, the database probes are an essential tool for getting insight into your database layer. Dedicated support for JEE is present in most views in JProfiler. For example, in the JEE aggregation level you see the call tree in terms of the JEE components in your application. In addition, the call tree is split up for each request URI. Also, JProfiler adds a semantic layer on top of the low-level profiling data, like JDBC, JPA/Hibernate, JMS and JNDI calls that are presented in the CPU profiling views. With its JEE support, JProfiler bridges the gap between a code profiler and a high-level JEE monitoring tool. JProfiler has a number of probes that show you higher level data from interesting subsystems in the JRE. In addition to the Java EE subsystems like JDBC, JPA/Hibernate, JSP/Servlets, JMS, web services and JNDI, JProfiler also presents high level information about RMI calls, files, sockets and processes. Each of these probes has its own set of useful views that gives you general insight, highlights performance problems and allows you to trace single events. And what’s more, all these views are also available for your own custom probes that you can configure on the fly within JProfiler.